Add one portion of the product, according to your taste, to wafers, omelets, pancakes and other desserts. 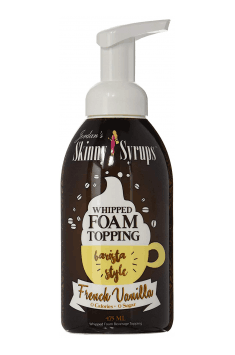 The whipped cream will perfectly match all coffee variations. Latte, cappuccino or black coffee will gain completely new aroma. Become a professional barista in your own home! This product will enhance fit-desserts, giving them fluffy texture and strengthening their delicious taste.